The Academic Council meeting, which was held on 14 September 2017, is special for Skoltech, as it marks one year of the Council operation. 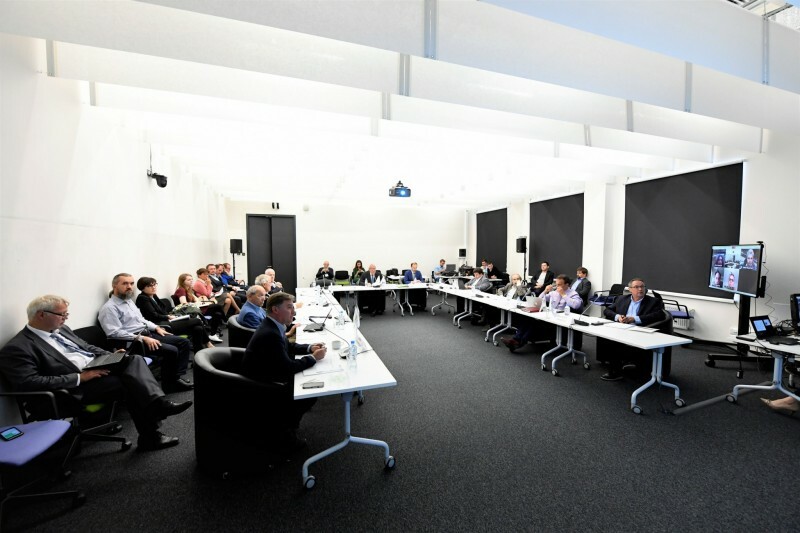 Established by the Board of Trustees, the Academic Council has been serving as a collegial management body, performing general governance of educational, research and innovational activities. During this year, the Academic Council and Committees took responsibility for such important issues as Skoltech CREIs evaluation, revision of student admission procedures, review of the faculty hiring and contract renewal cases, approval of the MSc programs portfolio and many others. This time the agenda included two main items: Skoltech strategy update, presented by the Chairman of the Academic Council Alexander Kuleshov, and the revision of the Committees’ compositions, proposals on which were presented by Skoltech Deans Keith Stevenson, Clement Fortin and Anna Derevnina. Valuable inputs to the strategy shared at the Meeting will be taken into account while preparing the final version of Skoltech strategy, which is planned to be presented at the Board of Trustees Meeting in late September. The next Academic Council is scheduled for late November or early December 2017.